It's the corn-husk-iest, happiest time of year. Are you about carne asada, calabicitas, or straight-up cheese in your tamales? A trio of festivals are steaming into or near Southern California. MUCH IS MADE, each mid-November, of people growing more and more frantic as Thanksgiving plans are put into motion. The person doing the mashed potatoes has to be confirmed, and the relative who is in charge of the cranberry salsa, and looking for a couple of volunteers to oversee the deep-frying of the turkey can take the better part of the morning. But let us also pause and acknowledge another bit of food-oriented planning that goes on right about the middle of fall, planning that frequently involves relatives and assignments and store trips and an entire day blocked off on the calendar (much like Thanksgiving often is, too). We speak of the tamale-making party, a tradition that's as set in masa -- we mean stone, rather -- as any other during the holiday season. One person typically organizes the affair but it takes a lot of hands, and, occasionally, a few pitchers of margaritas, to turn out several dozen tamales. 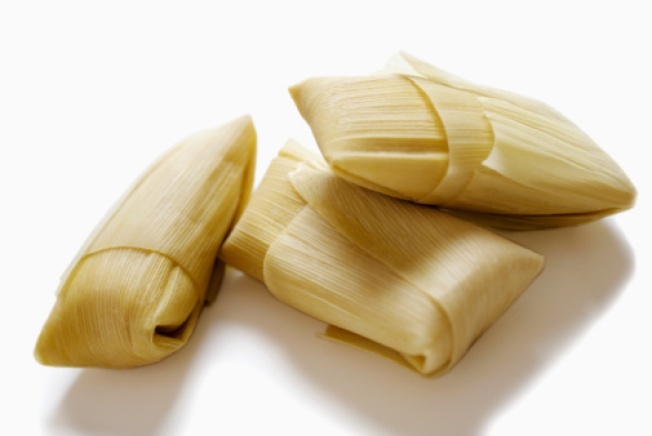 If you haven't heard what's happening with your annual stuff-and-fold soiree yet, fear not, tamaleans: Some regional tamale festivals are heading this way, as they often do this time of year, with one popping up, for a change, in the springtime. INDIO INTERNATIONAL TAMALE FESTIVAL: This is one of the stalwarts on the tamale calendar, a large-scale snack-and-snack-some-more gathering that is pinned to the first weekend in December. The dates for 2015 are Saturday, Dec. 5 and Sunday, Dec. 6, and bevies of unwrappable, moist, meat-and-vege-packed goodies will be for sale. It's been around for nearly a quarter of a century, so bet you'll bite a wide range of tamale specialties. SOMERTON TAMALE FESTIVAL: This one's just a pop over the border, into Arizona, in the community south of Yuma. Put on by ASU folks living in the area, the tamale festival, which spreads out along a few blocks of Main Street, is on the big side, so if you're want to try well over a dozen different examples of tamales made in the beautiful Colorado River-close area, this is it. Date? Saturday, Dec. 19. RIVERSIDE TAMALE FESTIVAL: Should you get your fill of masa-based delights in the masa-riffic month of December -- if that's even possible -- hold tight, for the Riverside food party is just ahead, in April of 2016. Who says tamale love can't make every month a traditional tamale month? We know, December and tamales go way back, but if you go way back with tamale enjoyment, it matters not what the calendar says. You're seeking out the savory stuff, and lots of it, in festival form.